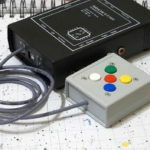 So, in the previous part we learned some basics – how to switch pin on and off, and then relays that can control power for devices, or for example DSLR shutter. In this part we will try to monitor environmental conditions – pressure, temperature, humidity and calculate dew point temperature. 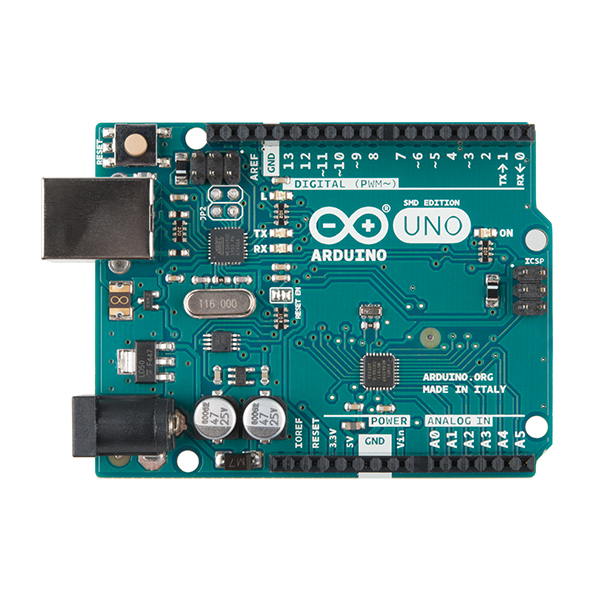 We use BME280 universal sensor, Arduino Uno board and Arduino LCD shield. In the code we have usual things at the top – we include required libraries. Then we define pin assignments, and declare objects to control LCD and to read from the sensor. Then one more variable to hold the delay (in ms) between readings. In setup section we start Serial port communication, and then initiate LCD display. 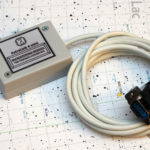 In the next step code checks if BME280 sensor is connected and working. At the end of setup block we set reading frequency to every 1000ms. Loop block starts with reading values from the sensor. 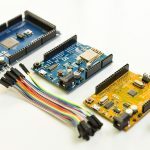 Then all values are provided to the serial port, so when we have Arduino connected to the computer and serial port opened in any terminal, we will see all values there. 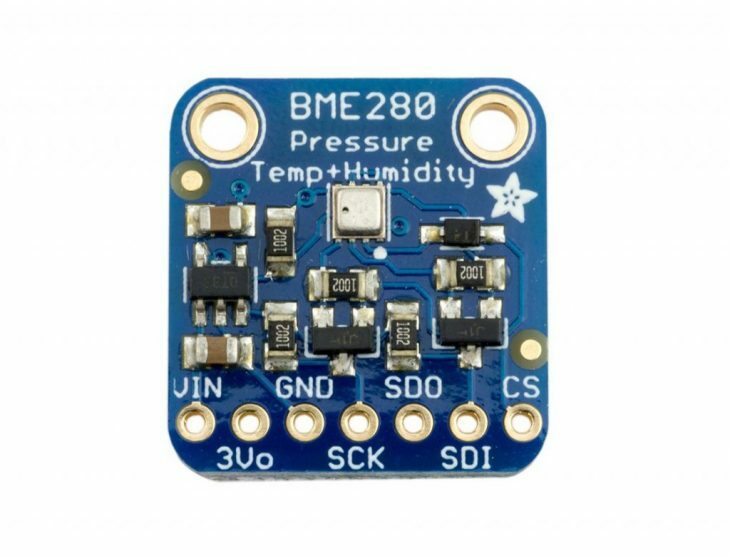 Sensor provides three values: current pressure, temperature and relative humidity. There is one more value calculated – that is dew point temperature, which is quite useful information for astronomy amateur. 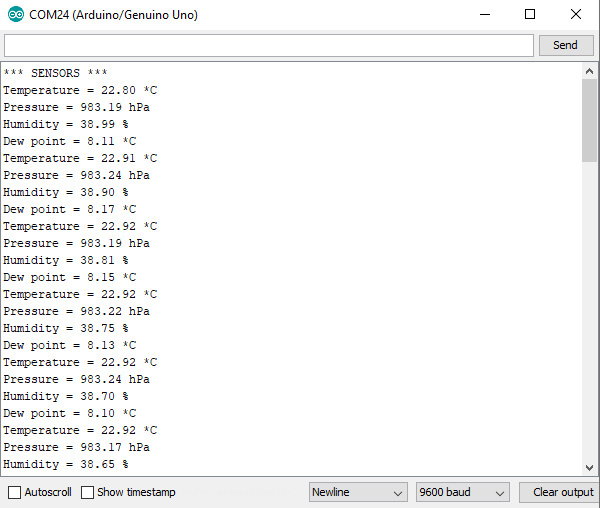 Next thing to do is update LCD display with the values, and then delay of specified time is declared at the end of loop method, so the subsequent readings will be done every some time (one second in this example). 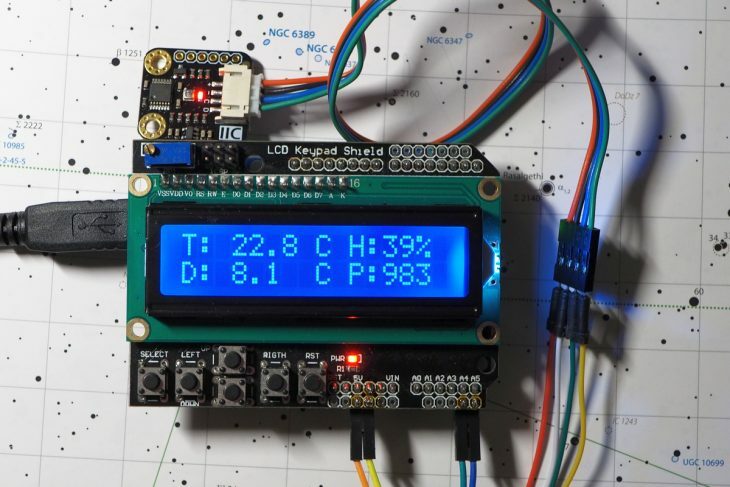 And this is mostly it 🙂 Our circuit measures temperature, humidity and pressure, then calculates dew point temperature and feeds this data to both LCD display and serial port output. 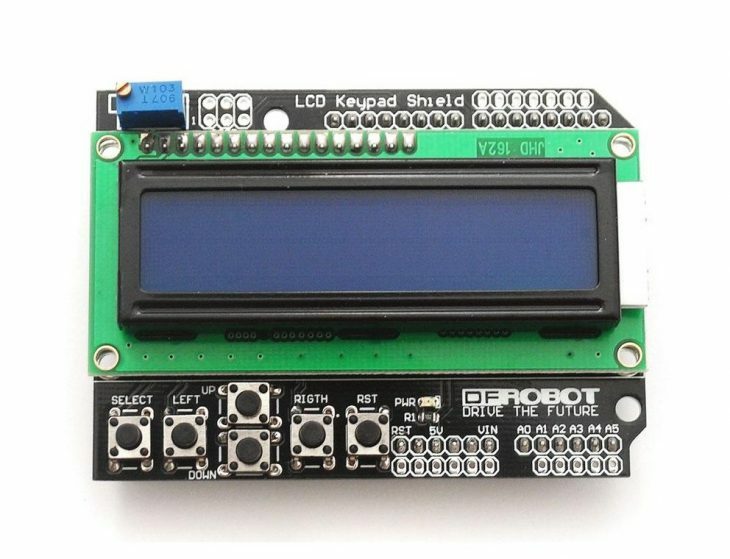 In the next part we will start to use keyboard on our LCD shield and add automated controller for dew cap heater to our weather station.